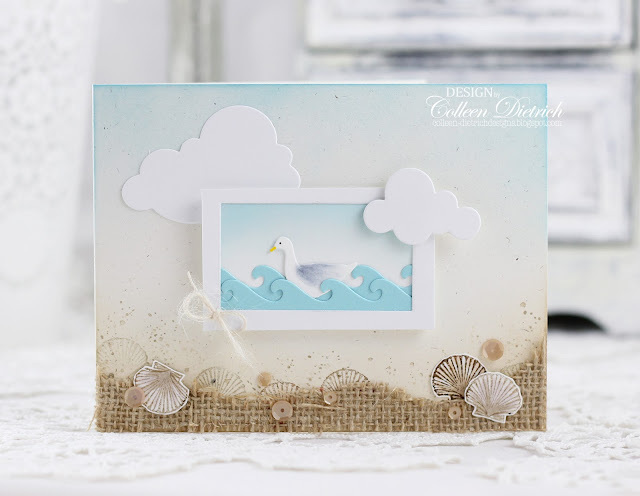 Before summer is out of here soon, I'd like to share my seagull card. I'm proud of this, and I'll tell you why. 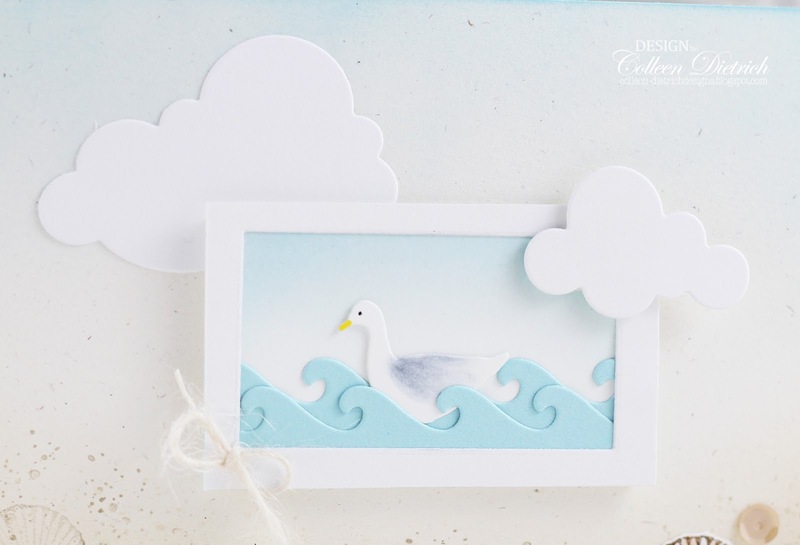 I decided to make the duck into a seagull by using a light gray marker for wing color, and added him to some ocean waves (My Favorite Things Catch A Wave dies). I already had a "frame" pre-made (from die-cutting a rectangle out of a scrap piece of white cardstock), so I created a little scene IN & OUT of that frame. 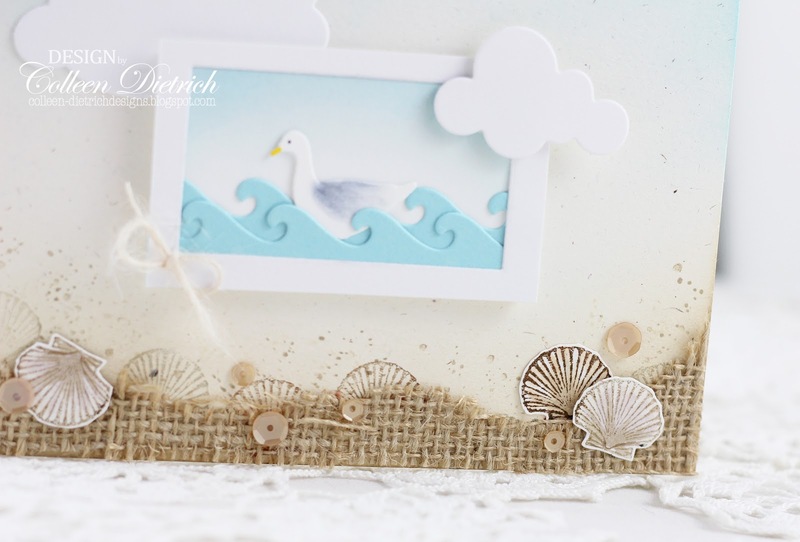 The sandy scene at the bottom of the card was made with burlap, seashells from an OLD All Night Media rubber stamp set, and splatters of "sand" from Itty Bitty Backgrounds / Stampin' UP! 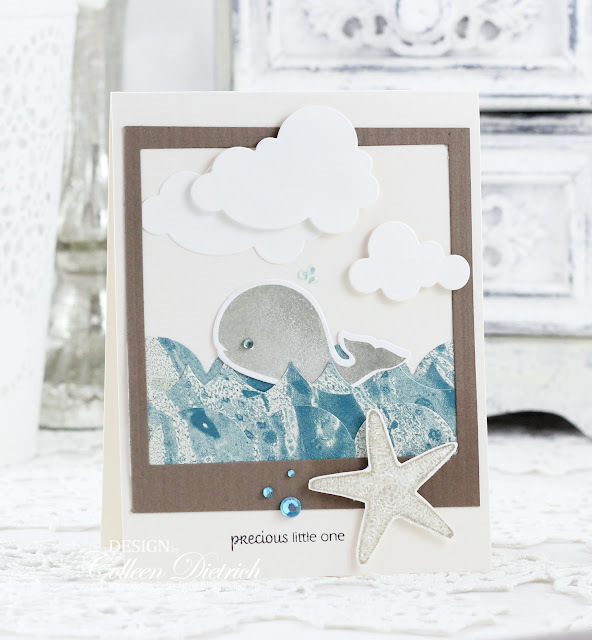 OH, and I did add some Sand sequins, too, from Pretty Pink Posh. They give it that little extra something, I think! One of my coworkers asked me to make a custom card for his wife several months back. She loves angels, so I dug into my stash to see what I could find. 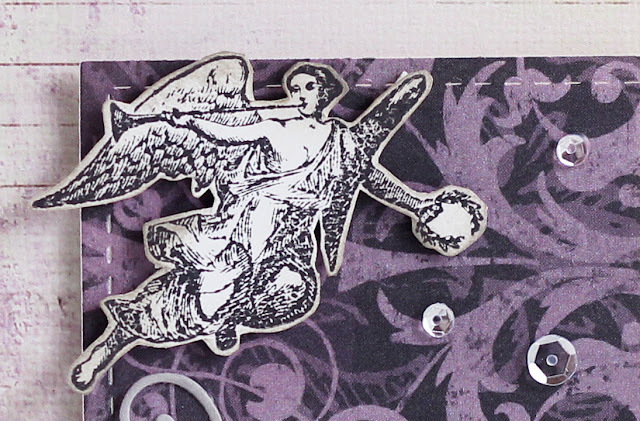 The angel and fleur-de-lis are from an old TPC Studio set, Classic Icons. It's not a set I use much, but I'm glad I didn't get rid of it: I needed this angel for this special lady's birthday! 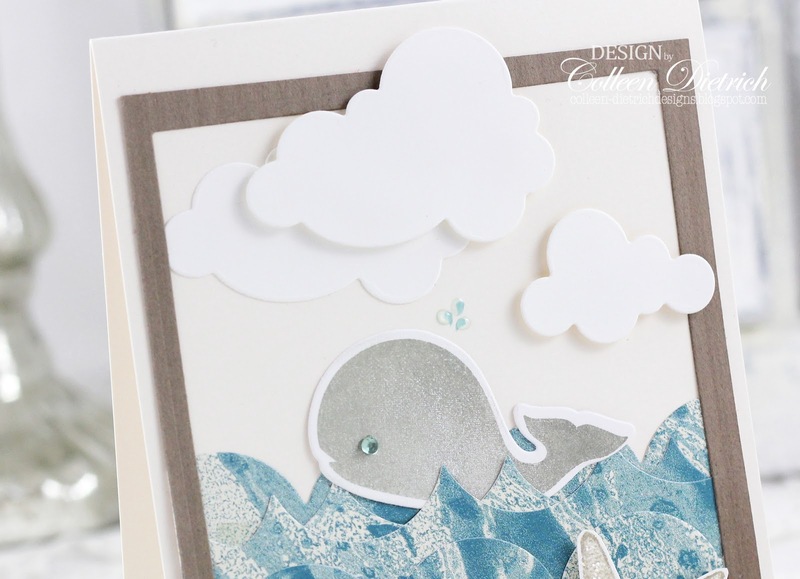 The Verve Celebrating You sentiment...I mean, how perfect is that for this card?? 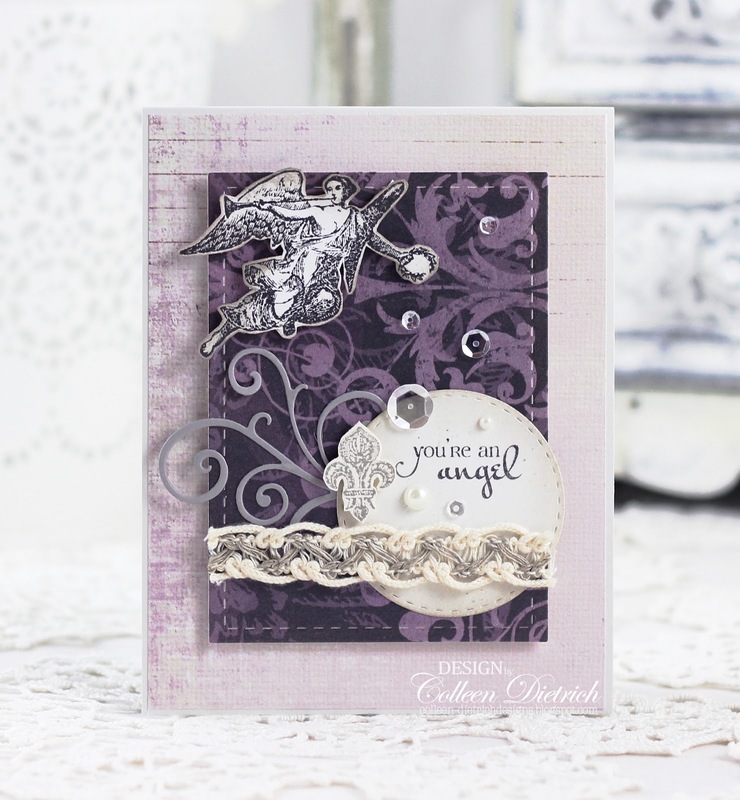 Oh, and my coworker's wife's favorite color is purple, so I found a couple of patterned papers that worked well together: one lighter lavender, one a deep rich plum. 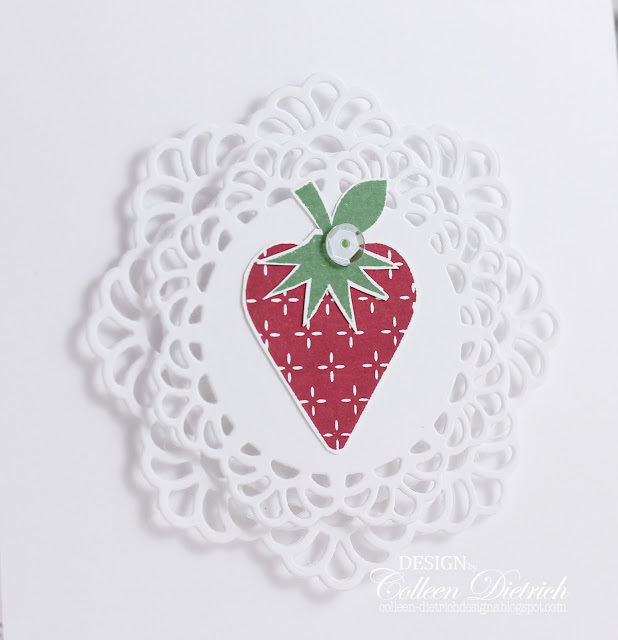 The stamp set I used is Fusion Berry from Papertrey Ink, paired with two doily die cuts (My Favorite Things Decorative Doily Duo). 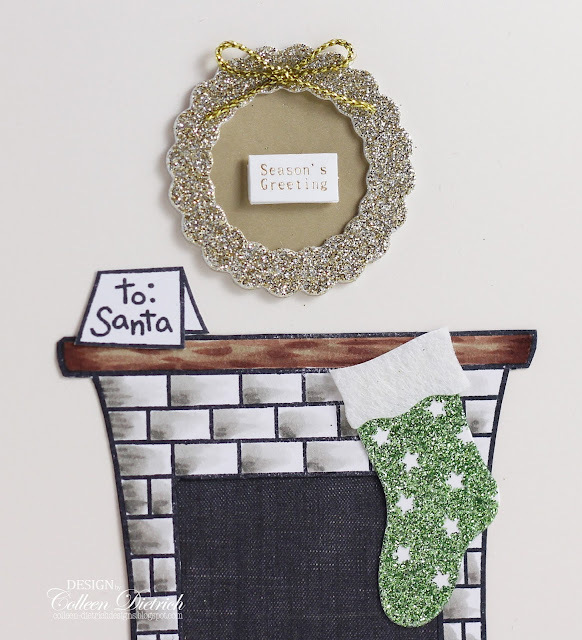 The only additional embellishment is one sparkling clear sequin, from Pretty Pink Posh. Thanks so much for coming by today! 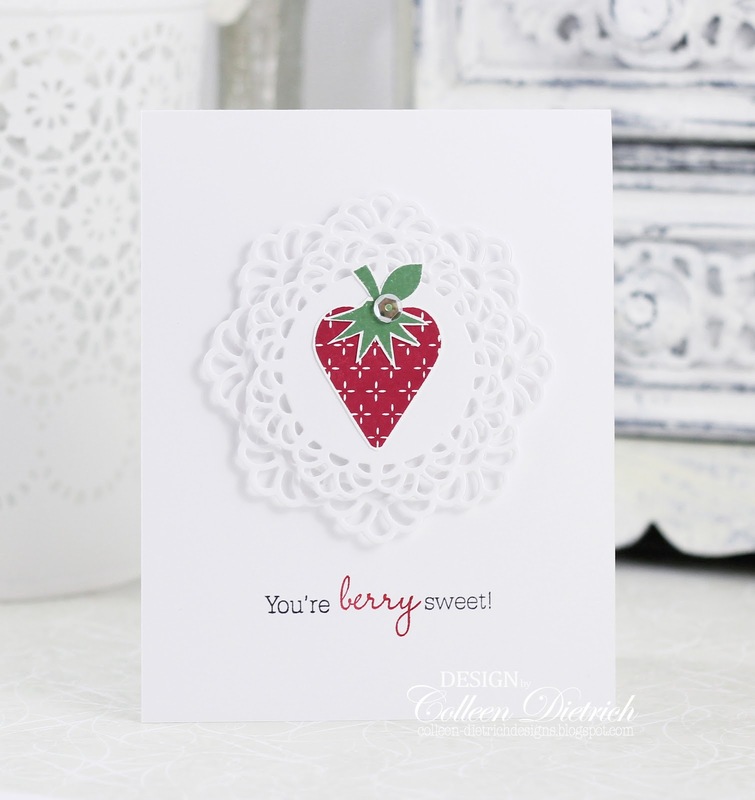 Have a berry wonderful day! If you're into French Country style, you must be familiar with rooster images, and sunflowers, too. This Graphic 45 patterned paper (I don't know the name, sorry!) was the jumping-off point for the card's design. I bought a pack of the paper at Tuesday Morning, and it's got like 24 sheets in the pack...and all the same design. Ha ha. It's going to last me a while! There is a sprinkling of Espresso sequins, surrounding the focal point, as well as some jute braid, crocheted trim, and a teeny tiny tag with a Tiny Tag sentiment (Papertrey Ink). Thanks for coming by! You're wonderful and don't you forget it! This baby card has a shabby chic, vintage vibe and a ton of feminine appeal! Look at all those flowers! 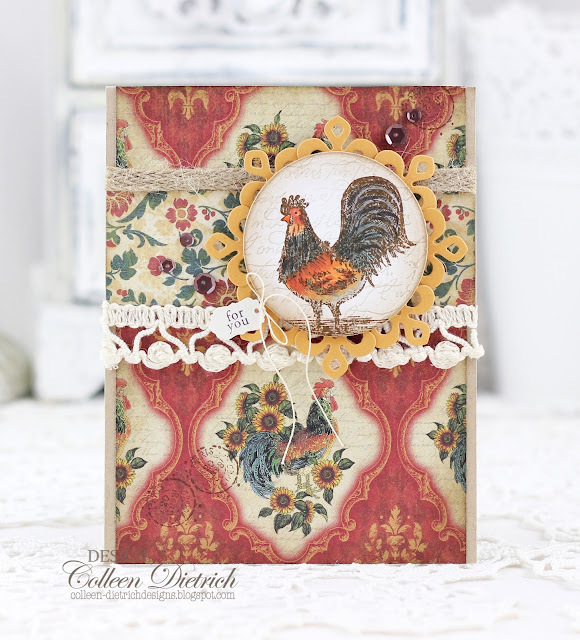 It started with the sweetest carriage stamp from Unity's Delight In the Little Things set. 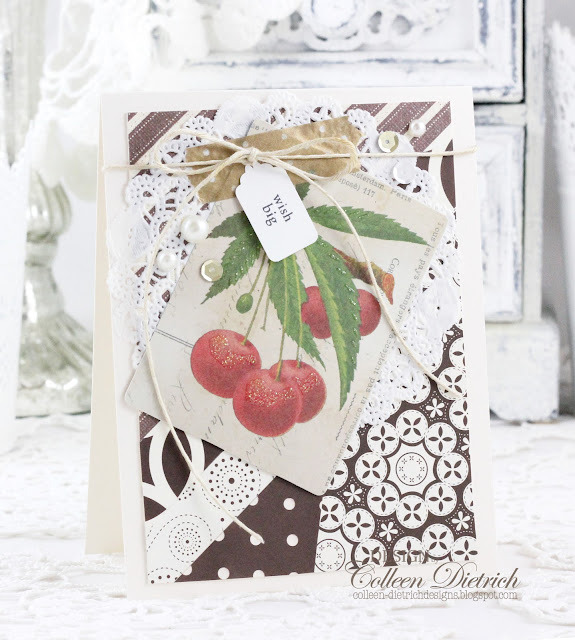 I stamped it in Close to Cocoa (remember that Stampin' UP! ink color? ), trimmed it out and inked the edges to give it a slightly distressed feel. 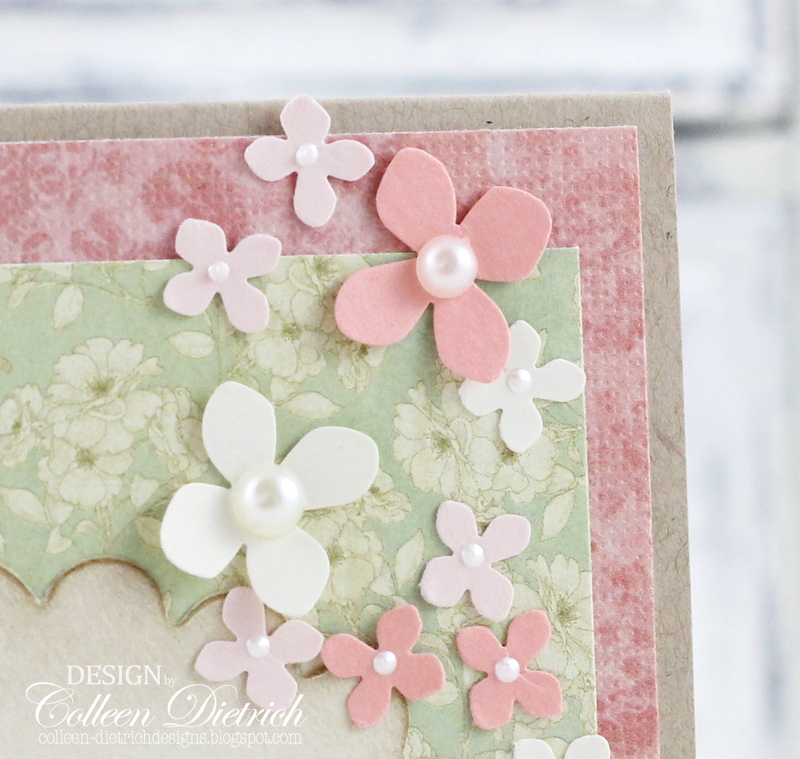 I added a bevy of Hydrangea punched flowers (Martha Stewart) up and down one side of the card, cascading past the sentiment from the same Unity stamp set. Each flower was topped with a pearl, or White Opal Liquid Pearls (Ranger). Even the patterned papers have floral designs on them! Thanks so much for swinging by here today. I appreciate your visit! Be blessed! This sweet l'il guy is from Papertrey Ink's Whale Wishes. Isn't he cute?? 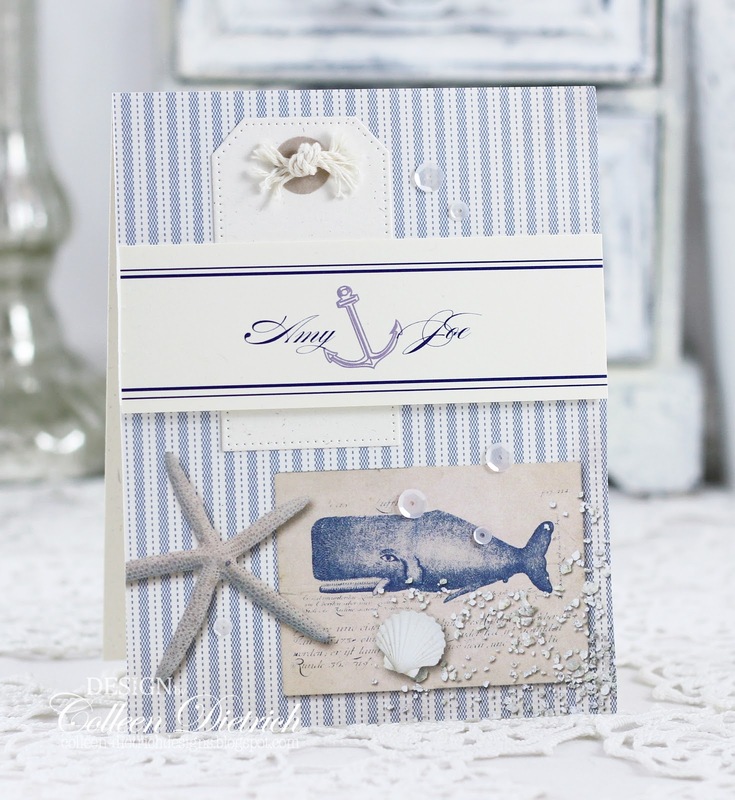 Those little splashes were stamped in blue, then topped with a tiny bit of Glossy Accents glue. The frame was on my desk from another project: you know when you die-cut a shape out of a piece of cardstock and you're left with the negative? That's what happened here. 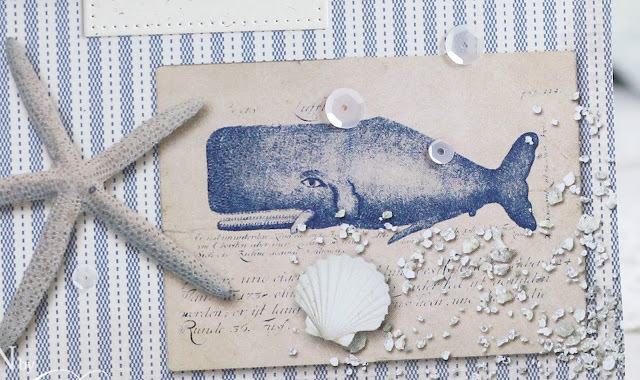 I love creating little scenes in frames. 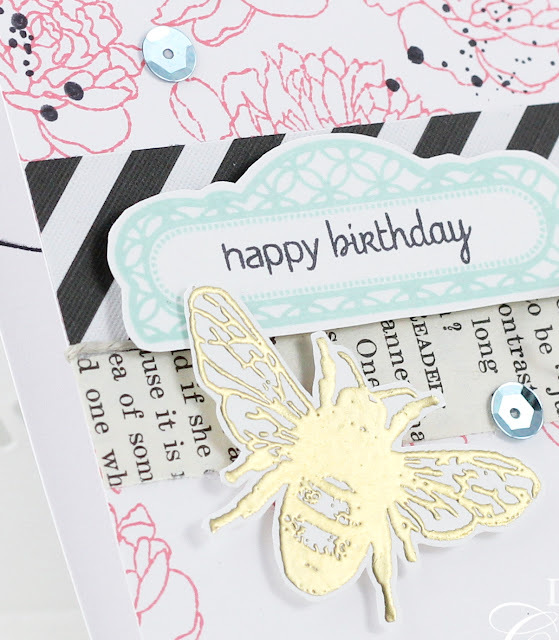 The marbleized paper scraps are from a Stampin' Up! goodie bag and I cut it with Simply Scallops Large die from My Favorite Things. 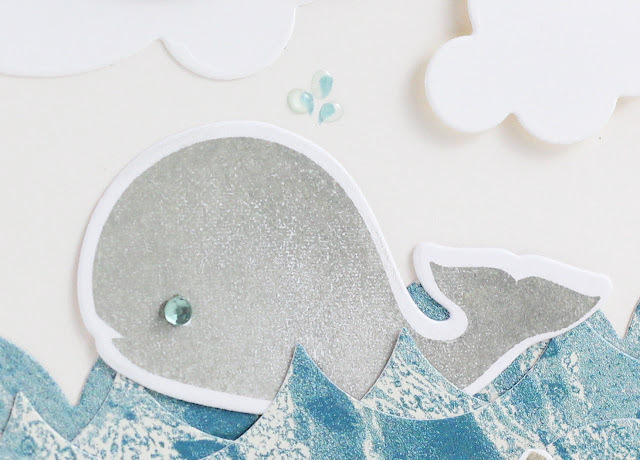 I used both the positive and negative diecuts from it as waves. 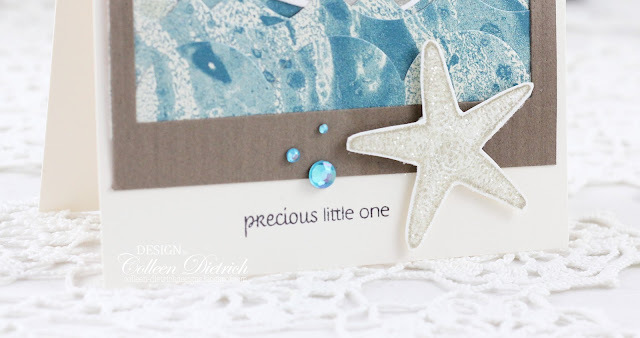 Though you really can't quite see it, I glittered the starfish (Blockheads Paper Arts) with fine Crystal glitter. The sentiment is from Verve's Small Phrases. 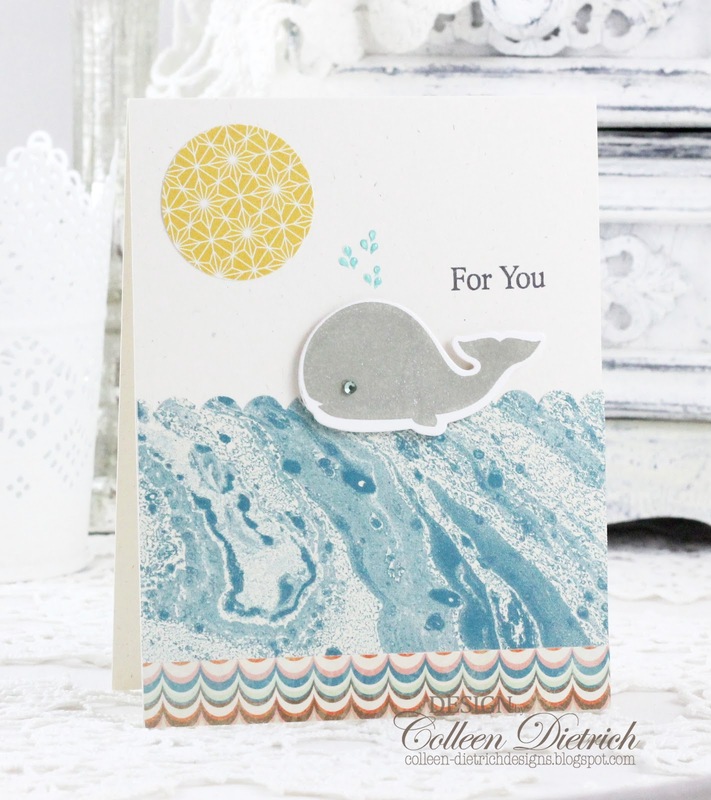 After playing around with the whale stamp and die from Papertrey Ink, practicing lining things up, I had one whale left over for another card. This one is quite simple, but uses more marbleized patterned paper as the baby card above. 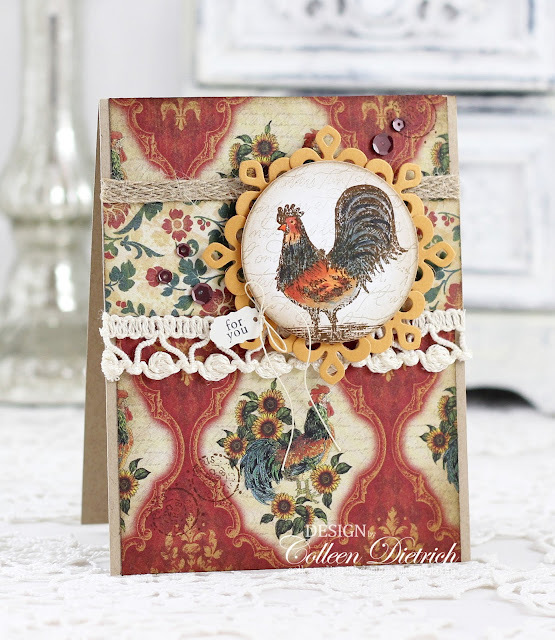 A sun was cut simply with a circle die, and then for some extra interest, I added another strip of scalloped patterned paper at the bottom. Thanks for joining me today! Be blessed! Last year, my sister-in-law married the love of her life in a ceremony set by the bay. It was so perfect, so fun, and so good to see the two of them get hitched! I wanted to make their wedding card very personal and meaningful. 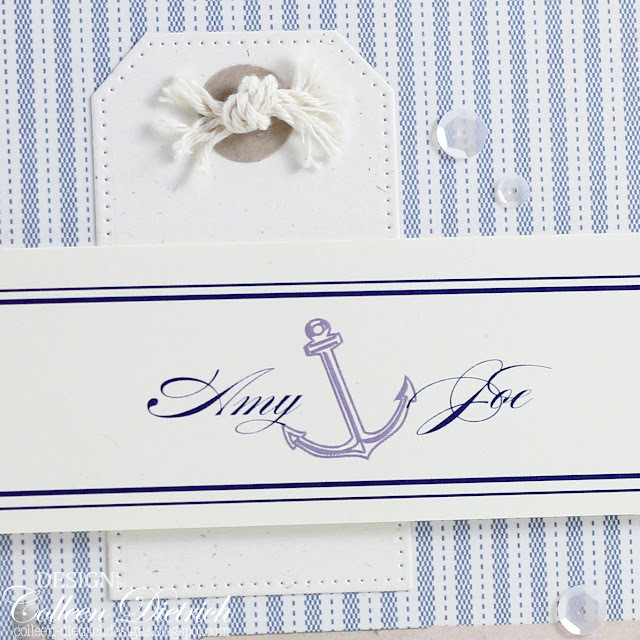 I used the band that had held their wedding invitation pieces together, emblazoned with their names, as the focal point for the card. 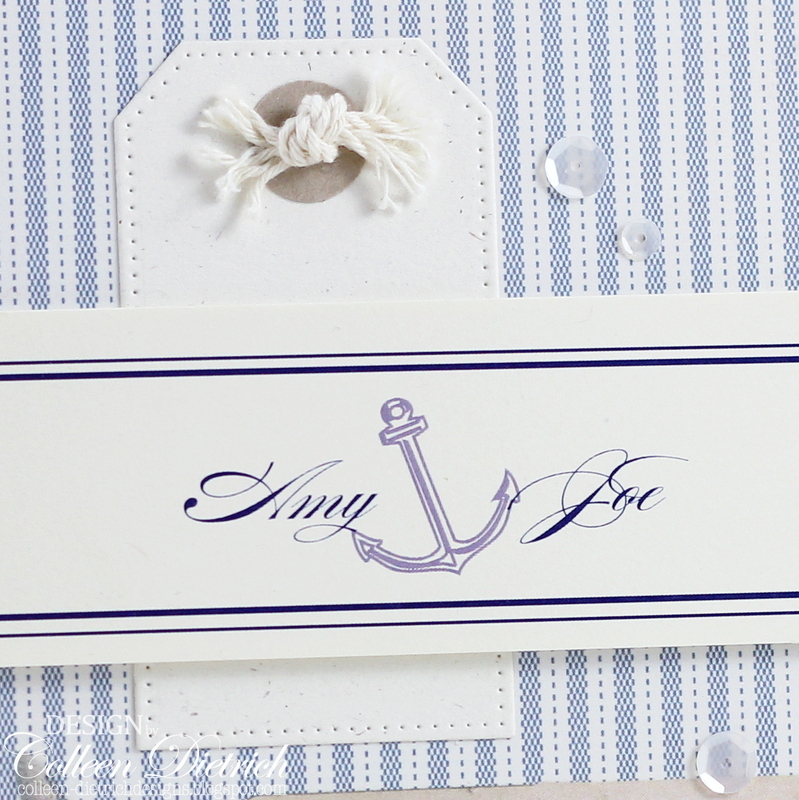 I layered a pierced die-cut tag beneath it, and embellished it with a tiny bit of cotton twine tied in a knot: not only does this have a nautical feel, but signifies their "tying the knot." The patterned paper I chose is from the Netherlands, courtesy of my friend Stella. (thank you, Stella!) It has the perfect seaside feel, and already looks embellished. 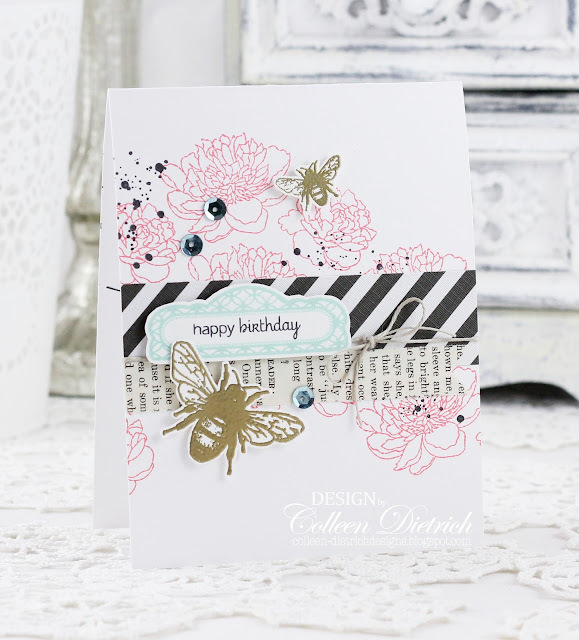 I just added a few sequins from Pretty Pink Posh. 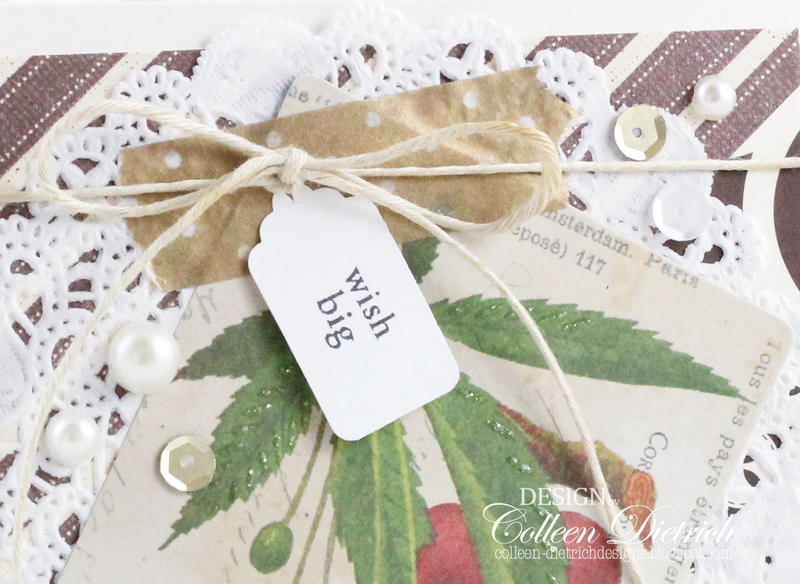 I so love to make a card super-personal for the recipients(s)! 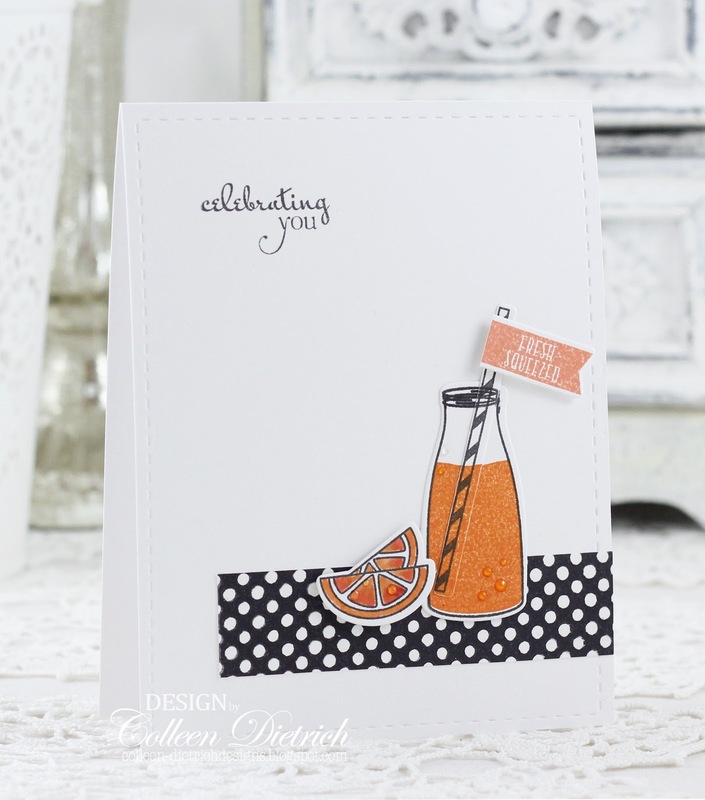 Let's toast someone's birthday with...orange juice! Had to play with a new-to-me set I bought at an online yard sale: Wplus9's Milk & Cookies. I got the stamps PLUS the matching dies (love it). I had already decided on a white card background, so doing a bottle filled with milk didn't seem like a colorful-enough idea. The sentiment is from Verve's Celebrating You. May I just say, I rely upon those amazing Verve sentiments over and over and over. They are indispensable to me! 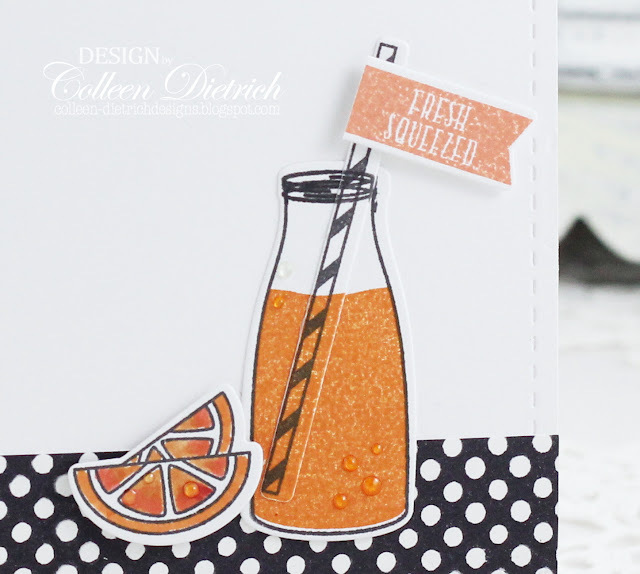 Oh, and can you see the little beads of "condensation" on the slices of orange and on the bottle? Good ol' Glossy Accents glue by Ranger! Orange you glad you came by today? OH, that's a terrible pun! I'm sorry! I am VERY glad you came by! Thank you! 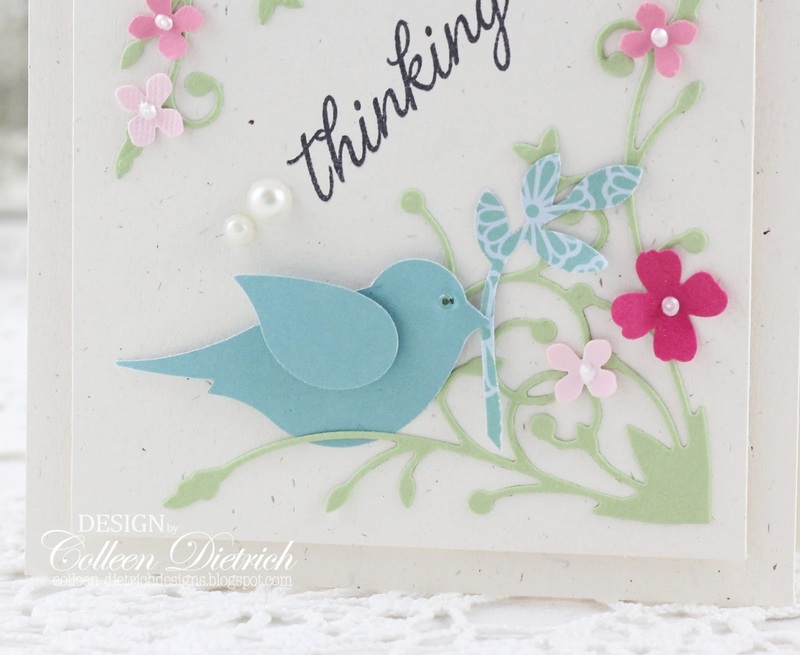 Sure was fun to play with punches and dies to create a scene for this "thinking of you" card! 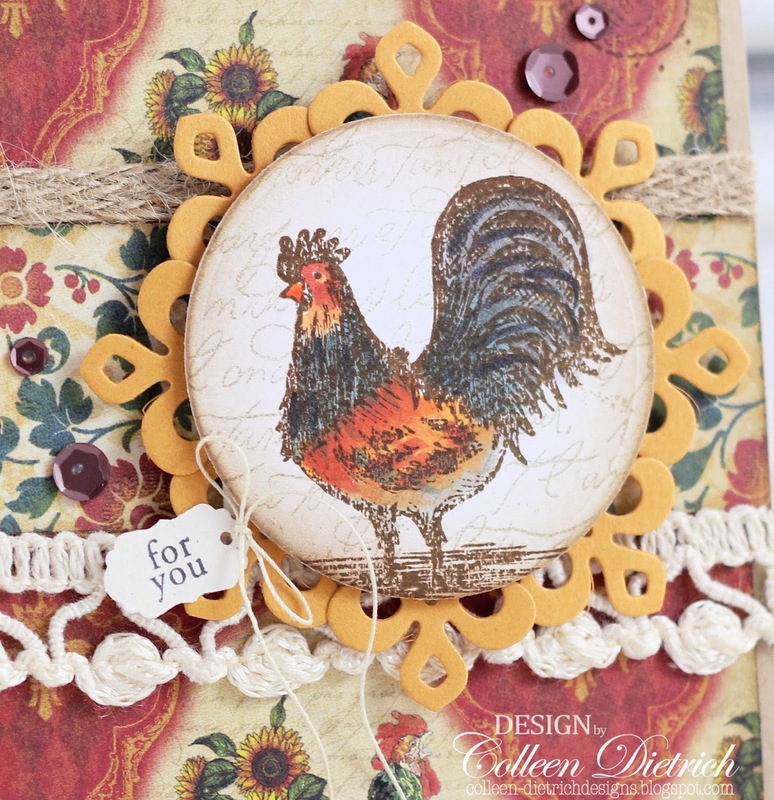 It started when I laid eyes on my old Stampin' Up! Extra Large Bird punch. It had not been used in a while. The bird needed some nature to surround it, so out came the SU Itty Bitty flower punch, and a Martha Stewart Hydrangea punch to create flowers. 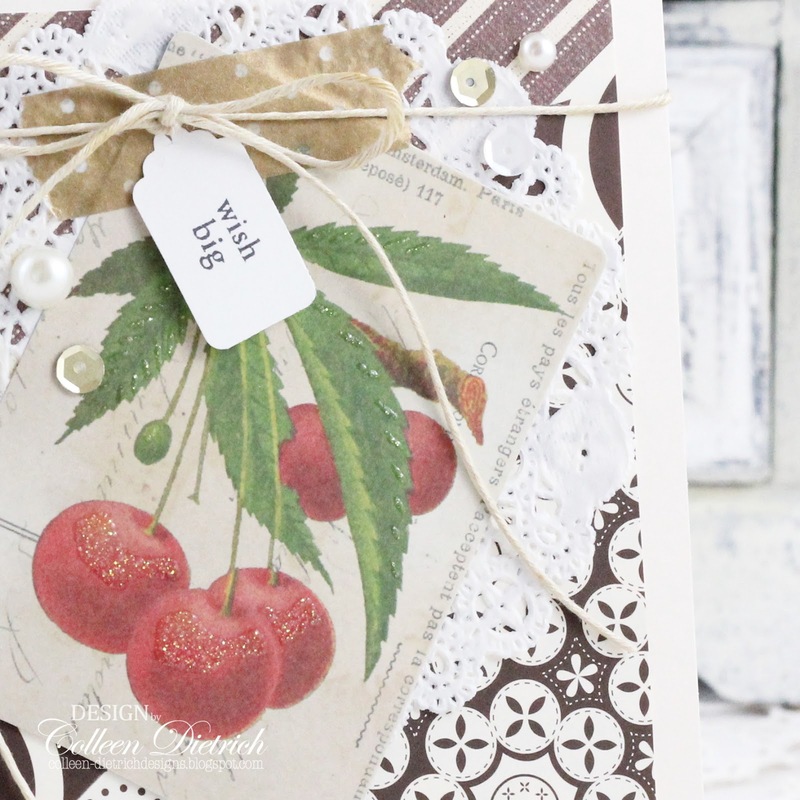 The Madera Corner die by Memory Box seemed a good fit for the corners of this card, to serve as the greenery. I used a tiny seed bead for the bird's eye. Can you see it? The sentiment is from Hero Arts' Everyday Sayings. The curlicues of the font go well with the flourishes on this card, I think. At the time I made this card, I had recently bought this lacy Dizzy Border die by My Favorite Things. When I looked closely at the diecut, I saw a unique 'street' for a little neighborhood. 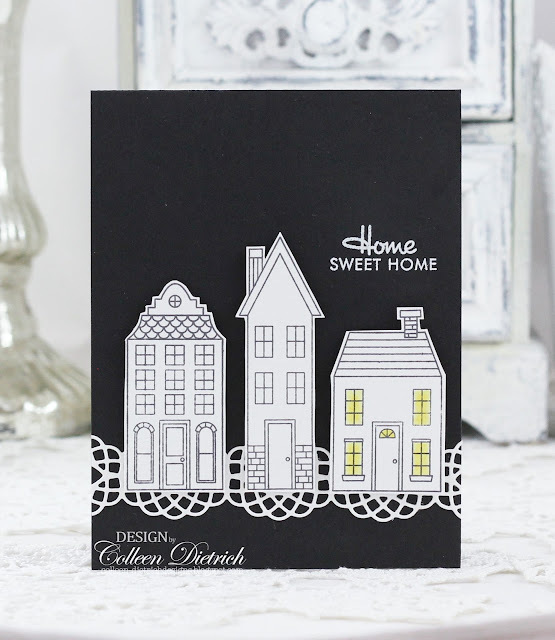 I stamped three cute houses from Stampin' Up! 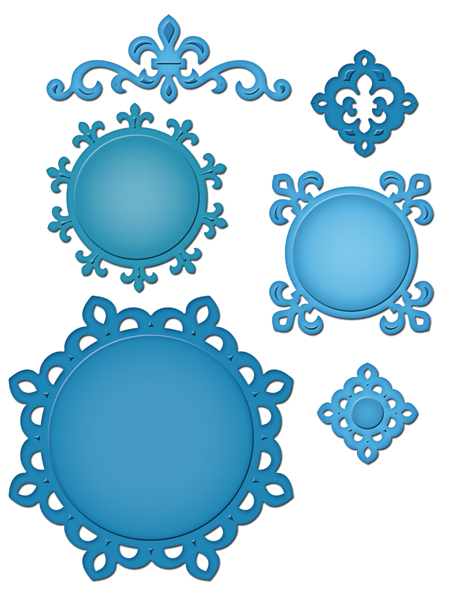 's Holiday Home set, trimmed them, and left them uncolored, except for the windows in one of the houses. Hey, someone had to be home and awake in the neighborhood! They're propped up on dimensional foam tape, over the doily-like street. 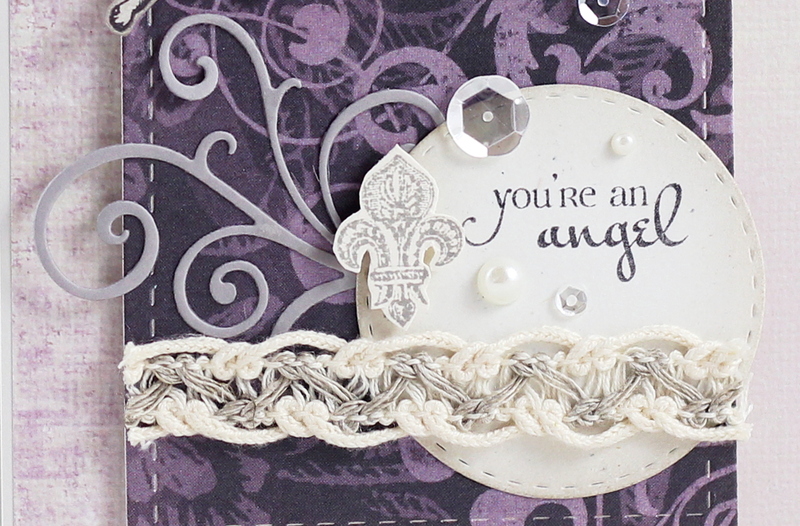 A simple sentiment from Papertrey Ink's Boards & Beams was heat-embossed in white. Since the card is all black, I had to line it in white, as you can see above. It's very eclectic, and I love it! 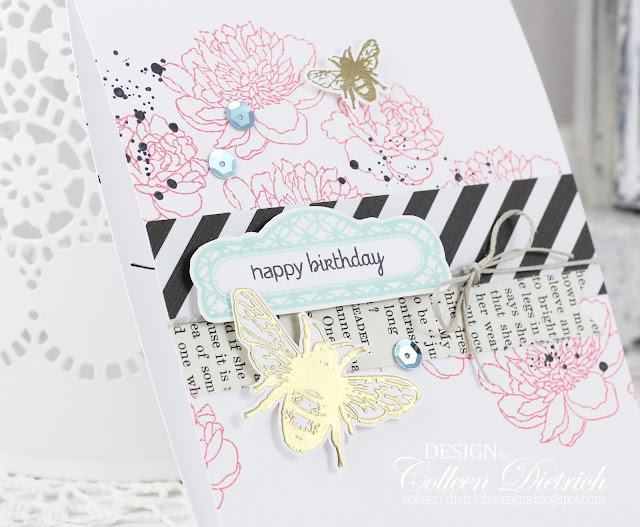 The Ton Stamps' Wild Peonies were stamped in Cameo Coral, and overstamped with black splatters from Inspired By Stamping's Create A Cupcake. Under the black striped patterned paper is a bit of page from a vintage book. The sentiment pairs Verve's Small Phrases with Everyday Tabs by Inspired By Stamping (stamped in Pool Party). How about those shiny bees? Wow! They are from Stampotique's Big Bee with Medium Bee set, heat-embossed in gold. This was a lot of fun to make. It's a wee bit different from my normal style, or maybe it's the color combo that felt different to me. I appreciate your visit today! Be blessed!